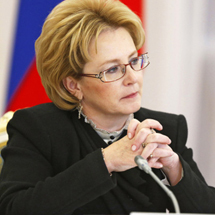 Minister of Health of the Russian Federation. Born November 1, 1960 in Moscow. Graduated from the Second Moscow State Medical Institute. Appointed as the Minister of Health of the Russian Federation by the Russian Federation President's Decree of May 21, 2012. 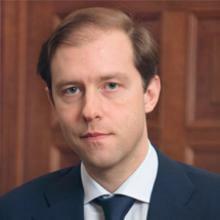 Minister of Industry and Trade of the Russian Federation. Born February 23, 1969 in Murmansk. the Russian State Academy for State Service under the President of the Russian Federation. Appointed as the Minister of Industry and Trade of the Russian Federation by the Russian Federation President's Decree of May 21, 2012. Minister of Communications and Mass Media of the Russian Federation. Born June 24, 1982 in Kazan. Graduated from the Kazan State University. 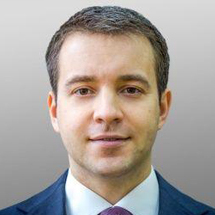 Appointed as the Minister of Communications and Mass Media of the Russian Federation by the Russian Federation President's Decree of May 21, 2012. 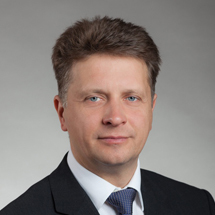 Minister of Transport of the Russian Federation. Graduated from the Saint Petersburg State University. Candidate (PhD) of Economic Sciences. Appointed as the Minister of Transport of the Russian Federation by the Russian Federation President's Decree of May 21, 2012. 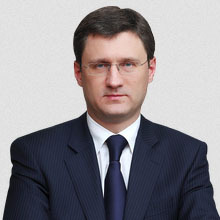 Minister of Energy of the Russian Federation. Born August 23, 1971 in Avdeyevka, Donetsk Region, Ukrainian Soviet Socialist Republic. Graduated from the Norilsk Industrial Institute, the Lomonosov Moscow State University. Appointed as the Minister of Energy of the Russian Federation by the Russian Federation President's Decree of May 21, 2012. Director of the Foreign Intelligence Service. Born October 27, 1954 in Leningrad. In 1978 he graduated from the Leningrad Mechanical Institute as an engineer - radio mechanic. He received a second degree in economics at St. Petersburg International Management Institute. 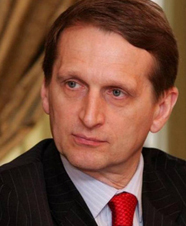 On September 22, 2016 President of the Russian Federation Vladimir Putin appointed Sergey Yevgenyevich Naryshkin as the Director of the Foreign Intelligence Service of the Russian Federation since October 5, 2016. 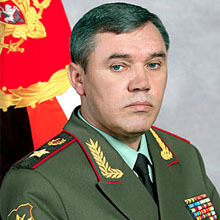 Director of the Federal Service of National Guard Troops of the Russian Federation – Commander of the National Guard Troops of the Russian Federation. Born January 27, 1954 in Ryazan region. Appointed as the Director of the Federal Service of National Guard Troops of the Russian Federation – the Commander of the National Guard Troops of the Russian Federation by the Russian Federation President's Decree of April 5, 2016. Appointed as the Army General by the Russian Federation President's Decree of November 10, 2015. 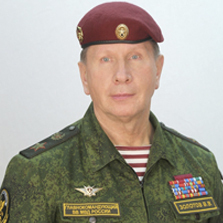 Director of the Federal Guard Service of the Russian Federation. Born in 1964 in Moscow. Higher specialized education. 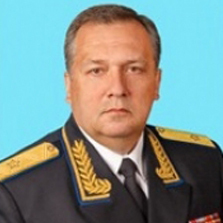 Since 2015 the Deputy Director of the Federal Guard Service of Russia – the Head of the Russian Presidential Security Service of the Federal Guard Service of Russia. Appointed as the Director of the Federal Guard Service of the Russian Federation by the Russian Federation President's Decree No. 256 of May 26, 2016. Director of the Federal Financial Monitoring Service. 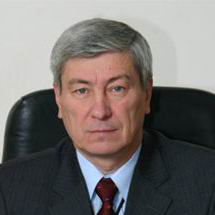 Born June 17, 1951 in Krasnoyarsk. Graduated from the Siberian Technological Institute. Appointed as the Director of the Federal Financial Monitoring Service in May 22, 2008. Born September 8, 1955 in Kazan. Graduated from the Malinovsky Military Academy of Armored Forces, the Military Academy of the General Staff of the Armed Forces of the Russian Federation. Appointed as the Chief of the General Staff of the Armed Forces of the Russian Federation— the First Deputy Minister of Defense of the Russian Federation by the Russian Federation President's Decree of November 9, 2012.